Categorical Dimensions of Human Odor Descriptor Space Revealed by Non-Negative Matrix Factorization from PLOS one, 18 September 2013. An article in the BBC about smell. The Science of Scent, a TED Talk by biophysicist Luca Turin. How do dogs “see” with their noses? – Youtube video. 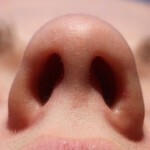 The Smell Report from the Social Issues Research Centre. This entry was posted in Episode and tagged guest host, history, Nobel prize by Orad Reshef. Bookmark the permalink. Orad- think about this. When you fart, your dog can detect the individual smells within your fart – like… He knows what you’ve eaten based on it.